I’ve written pretty extensively in my last few posts about my need to be more choosy in selecting products to put on my skin, because I feel that my skin is getting more sensitive as I get older. That’s why I was interested in trying out Purito, a Korean green beauty brand that chooses ingredients that are “green level” on EWG’s database of safe skincare ingredients. The nice thing about this range of products is that they use a high concentration of the claimed star ingredient, and the products have pretty simple ingredient lists, cutting down on the potential for reactions and irritation. Generally, I’ve found Purito products to be high quality and effective, especially at their very affordable price point. I received the Seabuckthorn Cream, the Centella Green Buffet Serum, and the Galacto Niacin Power Essence (all free to review). I’ve also tried out the Defense Barrier pH Cleanser from a previous PR package, which I reviewed a while back on Instagram. Their products kind of remind me of Benton products, with similar minimalistic packaging and natural ingredient lists. One thing to be aware of is that many of Purito’s products do not contain preservatives. This is great for people who are looking to use more green beauty products and don’t want the extra irritating potential of preservatives. This, however, also means that these products have a very short shelf life, and the brand actually recommends storing them in the refrigerator and using them up as soon as possible. I’ve had my products open for about 3 months and I haven’t seen any evidence of them going bad, but it is something to be very careful with. I’m not AS concerned with the products that contain a high level of fermented ingredients as these naturally combat pathogenic bacteria, but not all of them do (and since these aren’t live active cultures, their anti-bad-bacterial activity is minimal). Just something to be aware of, and if you see anything off in any of the products, stop using them right away. The company does have smart packaging with pump bottles and tubes to minimize the chance of contamination. This is a very simple ingredient list with no irritants, and I love that they include the % of the star ingredients. Galactomyces ferment filtrate is supposed to be excellent for anti-aging, softening, hydrating, and glow-begetting. 5% niacinamide is the best effective proven percentage of the vitamin, which is known for its ability to brighten and calm inflammation. In practice, this is my favorite product of the bunch. It’s a light watery essence that absorbs like a DREAM, and really does do a great job softening and hydrating my skin. It has become a staple product over the last month or so because it never irritates any part of my face, even areas that are inflamed with dermatitis (now mostly healed yay). My face has been looking very glowy and more even-toned as well, though the change has been very gradual and I’m not sure I can attribute it all entirely to this essence. Either way, at about $18, this essence is a steal, and I highly recommend it. 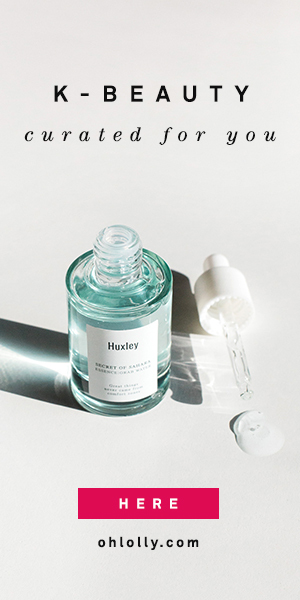 This soothing and hydrating serum features Centella asiatica (and various concentrated compounds derived from centella), the “tiger grass” herb that is known for its calming, soothing, and wound healing properties. It also contains niacinamide and a variety of peptides that can potentially smooth out the skin and improve skin structure — these peptides are components in a lot of high-end anti-aging serums and creams, so it’s awesome that they’re present in this affordable skincare range as well. The Purito Centella Serum had a slightly thicker consistency than the Purito Galacto Niacin Essence, and felt very moisturizing. There are some great protective moisturizers in there like panthenol, hydrolyzed collagen, and ceramide, as well as hydrating sodium hyaluronate. It made a great serum to layer on top of the lighter Galacto Niacin Essence, and I really felt like the two played very well together. One kind of amazing thing was that a few times when I used this serum and happened to glance in the mirror later in the evening, I was astounded at how it had canceled out pretty much ALL of my redness and my face looked eerily even-toned, like I was wearing foundation. So the soothing effect really does work. For that reason, I’m really glad I have this serum in my arsenal, and again, highly recommend this one. I did want to try one of Purito’s creams, and I have loved all skincare products I’ve tried with seabuckthorn oil, so I decided to give this one a go. This is a lovely white cream with a natural citrus scent, and it contains 70% seabuckthorn extract. Interestingly, this product features the fruit extract rather than seabuckthorn oil, which may contribute to its white color (seabuckthorn oil is, in my experience, quite vividly orange colored) as well as its lighter feel on the skin. Sea buckthorn extract is naturally high in vitamin C, which would make this product great for brightening and general glowy skin health. It’s also high in antioxidants. I love the inclusion of macadamia oil, which is one of my favorite oils in skincare as it is very moisturizing without feeling greasy. In practice, this is a “creamy” cream that spreads out thin and silky and feels remarkably light on the skin, making it great for people with dehydrated skin who dislike the feeling of a thick cream. I found it slightly tacky as it dried down, but once it settled in, had a nice smooth finish. The tube isn’t my favorite — I guess I’m just not a fan of the utilitarian style, and the nozzle of the tube dispenses a bit too much product at once for my liking, but the tube packaging means I’ll be taking this on my travels with me. It gives me enough moisture that I don’t need to add a facial oil, but doesn’t leave my face an oil slick either. If it didn’t feel a bit tacky on the dry-down, I’d probably reach for it more, but in general, a very good cream, especially for dehydrated skin types. I was really impressed with Purito’s products. For the price, they have AMAZING ingredients and they’re pretty effective too with their natural, ingredient-focused formulations. However, I do think the lack of preservatives may be a concern for some people (but also a plus for those who want to eliminate all irritants in their skincare). I would definitely be careful about ordering this in the heat of summer, especially if the package could be sitting in Customs for a while. And be sure to store them in a cool dark place, or in the fridge if possible. Thank you for the 3-month limit note. I was looking for someone to mention the lack of preservatives, which does concern me. Now the line becomes a pricier experiment given that you will have a 3 months to use it. Incidecoder notes that 1,2-Hexanediol and Caprylyl Glycol are preservative “boosters.” That might help somehow. I’ve been using them now for about 6 months and I don’t detect anything off yet (the hygienic pump bottle design helps). There may be preservatives included already in some of the extracts (did you know brands are not required to disclose that?) which may be helping with the longer shelf life. Thanks so much for your honest review honey!